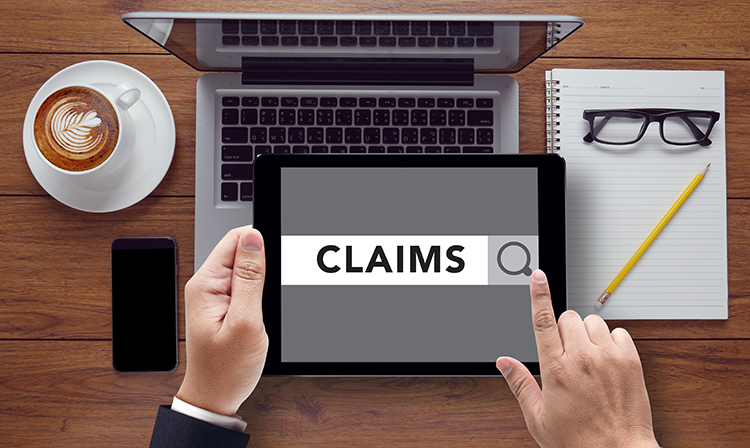 How much time does it take your organization to manage claim denials? It’s probably much more than you would like to spend. Having a strong denials management process can help you recoup significant revenue that would otherwise be lost, as well as identify trends in errors, so you can correct your processes to prevent future denials. In today’s healthcare environment, it is challenging for providers to succeed financially. Here are some of the top issues impacting your revenue. Healthcare costs for providers continue to rise. One of the top five top challenges facing medical practice business leaders is dealing with rising operating costs.2 There have been exciting advancements in medical technology and equipment that can bring long-term cost efficiencies for providers, but they require large investments upfront. These expenditures, combined with costs associated with electronic health record implementation, have put many providers in a financial crunch. Reimbursement rates are declining. Providers have faced repeated cuts to Medicare and Medicaid reimbursement over the past several years. In addition, the Affordable Care Act has impacted reimbursement for providers in the form of value-based payment models and cuts in the Disproportionate Share Hospital payment program to reimburse hospitals for caring for the uninsured. It’s harder to get paid. In today’s healthcare insurance market, high deductibles prevail and healthcare savings accounts are common. What does this mean for providers? According to revenue cycle management expert Elizabeth Woodcock, 30 percent of a medical practice’s revenue comes directly from patient responsibilities3 and it is expected to grow. Almost six out of seven (85 percent) employers have implemented an increase in medical plan employee cost sharing or are considering doing so through plan design changes over the next three years. To offset these financial challenges, you need to ensure you are getting paid correctly from payers. A big part of that is identifying, appealing, and tracking claims that were denied incorrectly. This potential revenue loss isn’t easy to see when it’s hidden. If left unchecked, denied claims can significantly impact your bottom line. Step 1: A cash flow representative goes through a stack of remittances they received from payers. Step 2: When they see a denial was made, they put it into a separate pile. Step 3: This pile is passed along to a second representative who focuses on denials. Step 4: That denials representative manually logs the remittance information, including date received, type of denial, amount of claim, insurer, remark code, and payer appeal deadline into a spreadsheet, so they have a record of the denials. Step 5: The denials representative researches the insurer’s requirements for resubmitting denied claims. Step 6: The denials representative begins work on the manual appeal process, which could include filling out a specific payer form, preparing a letter to describe your case for reconsideration, or compiling documentation of the service and a record of the original filing of the claim. The tedious process of appealing denials to get them overturned costs nearly $15 per claim, according to the Medical Group Management Association.7 And, all of this work needs to be completed before the payer’s appeal deadline. A manual denials management process is time intensive. To make sure the time you invest is worthwhile, you should focus on denials that represent the “lowest hanging fruit.” Here are three ways to identify denials that will yield the highest return when appealed. Fastest payment opportunity. Review your historical claims and remit data to track when you received denials and when you received the correct payment back from the payer. By measuring this, you can determine what types of denial reason codes have the shortest appeal resolution time to help you get money in the door faster. Highest value denial. When you receive denials, look at your historical data to determine and track how much you typically get paid for the type of services provided on the claim. Focus on appealing claims that bring in the highest amount of revenue. Highest probability of getting paid. Focus on denials that you can most easily fix, such as denials where information was missing from a field or where coding or data was incorrect due to human error. You can easily fix this information and resubmit the claim. Other denials may be out of your control, such as denials due to a service that was never documented or benefit eligibility issues. You won’t be able to convince the payer to pay for undocumented services or change their fee schedule contract, so these denials are not worth your time to appeal. However, to help stop this type of denial from occurring in the future, you should go back and review your eligibility verification process to ensure it is working correctly. Focus on these three areas to identify where you’ll receive a high return on your staff time investment for appealing denials. Denied claims represent unpaid services and revenue that you deserve. On the surface, the work that goes into identifying, tracking, and appealing denials may seem too time intensive. However, the number of denials you receive and the missing revenue they represent can add up quickly. The denials management process can be made much more efficient if you know where to focus your efforts. Now’s the time to take a closer look at your denials management process to identify which denials represent your “low-hanging fruit,” so you can spend your time on appeals wisely. Medical Group Management Association, Performance and Practices of Successful Medical Groups, 2013. Medical Group Management Association, Medical Practice Today: What Members Have to Say Survey. June 2014. “The ‘Retailish’ Future of Patient Collections,” Celent, February 2009; 2011: MGMA Practice Perspectives on Payment – 2009, median data reported. 2014 PwC Health Research Institute Touchstone Survey. “Overhauling the U.S. Health Care Payment System,” by McKinsey & Co., June 2007; “Cultivating the Self-Pay Discipline,” The Advisory Board Company, Financial Leadership Council, 2007. Medical Group Management Association, A/R Problems and How to Fix Them, Blog Post, November 9, 2011. Medical Group Management Association (MGMA), “The Physician Billing Process: 12 Potholes to Avoid in the Road to Getting Paid.” 2nd Edition. 2009. The lifeblood of your practice is data. So why are you ignoring it?